In 8th grade a new girl joined our class at Penn View. Her name was Miona and she was originally from Korea but adopted by a Norristown family. Miona was not Mennonite and through her Heather and I were exposed to a different world. For entertainment, we would go over to Miona’s house for a weekend, eat supper in her dining room with guests and watch her father with a huge turkey in front of him, serve each person their portion of food. Through Miona I saw what it was like to have a library as a room and witnessed for myself how one of the books was hollowed out for jewels. Her mother never wanted the light on in the dining room when unused because it made the silver in the china cabinet noticeable to passersby and opened themselves up to possible thievery along Burnside Ave. Through Miona, I learned how to “case” a drug store with 3 underage girls, one watching the door and the register attendant, another putting the quarters in the machine, and the other quickly removing the pack of cigarettes. Through Miona, I stayed up late swooning about cute guys and calling one on occasion, singing, “Blue, blue my world is blue….blue is my world since you went away.” As I recall, there wasn’t much response on the other end of the line. I started smoking that year and my kids laugh today about how I was the most rebellious when I was in junior high. I can’t say I ever really enjoyed smoking, but in 1973 a lot of cool people smoked and I loved the look of having a cigarette between my fingers. Like Clinton, I often didn’t inhale. It hurt my lungs when I did. I remember how after Miona, Heather and I “cased” the drug store, we split the pack of cigarettes, and at home, I hid them in a small red box, underneath Bible quiz cards. I doubt I realized the irony of that. By 10th grade, Miona and Heather were out of my life. 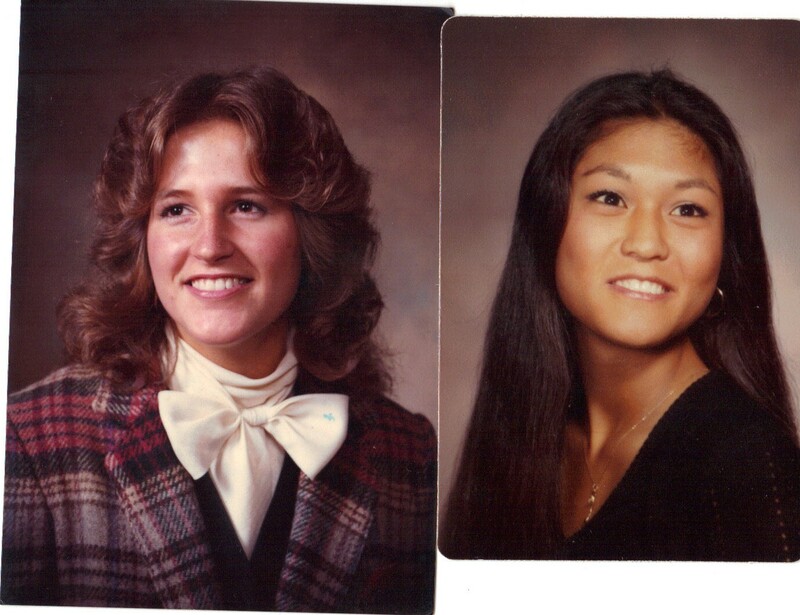 Miona went back to Norristown High School and Heather went to Souderton High School after a particularly fun summer when she met the love of her life. Heather and I were constant summertime buddies, riding bike to the Souderton pool and meeting guys in the park, but when I talked to my parents about transferring to Souderton in 10th grade, they were vehemently opposed. So I lost touch with my “enlightened” friends and started becoming the best goody-too-shoes ever.